Bowflex has offered us various models of home gym machines. Of course, home gym machine can be an excellent way to stay fit and healthy. With such device, you will be able to train and exercise effectively without having to go outside, allowing you to save both money and time. In the following article, we are going to see the comparisons between two Bowflex models, which are Bowflex Blaze and Bowflex Xtreme 2. The Blaze is quite more affordable than the Xtreme 2, but is it worth the money? These two models have actually been designed very differently from each other. Bowflex Blaze has a horizontal body design, so it may require quite a lot more surface area than Bowflex Xtreme 2. On the good side, its bench can be folded to save space when not used, but nevertheless you still need some more space to actually use the machine. On the other hand, Bowflex Xtreme 2 has a vertical body design, which is taller but requires significantly less surface area. Both machines are durable and well-built, suitable for users of up to 300 lbs. Both Bowflex Blaze and Bowflex Xtreme 2 have been equipped with 210 lbs Power Rod Resistance. The resistance levels on both models are very good. They are also upgradeable, allowing you to increase the resistance to 310 lbs or 410 lbs if you want to train even more. Obviously, Bowflex Xtreme 2 has been equipped with many more built-in exercises than Bowflex Blaze. 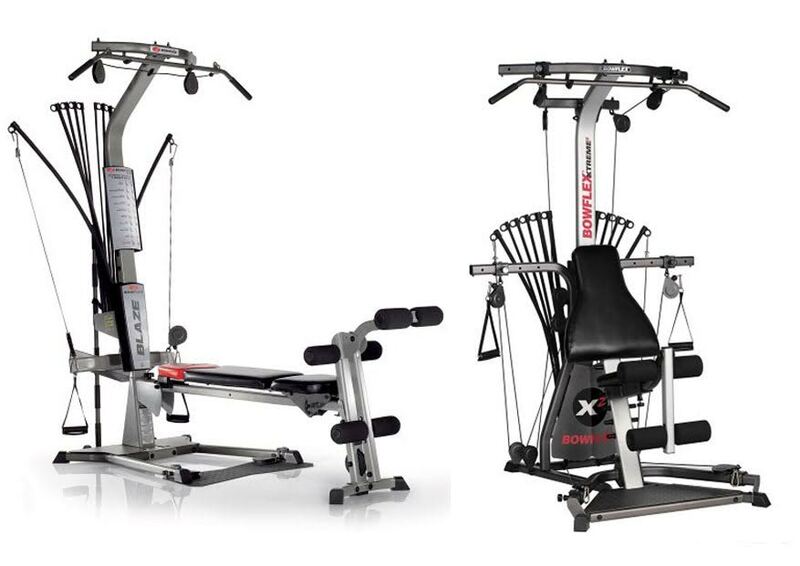 Bowflex Xtreme 2 has at least 79 built-in exercises in total, featuring an integrated lat tower and angled lat bar, as well as many more arm and back exercises. On the other hand, Bowflex Blaze features at least 66 built-in exercises. It includes the leg extension attachment and lower pulley squat station. But there is another big difference. Bowflex Xtreme 2 actually does not come with the cardio row machine. Bowflex Blaze, on the other hand, is coming with the cardio row machine, which is a nice feature for training and improving your cardio performance. A stronger cardiovascular system can improve your endurance. It is also good for losing weight, as it burns a lot more fat. If you have lots of space available, Bowflex Blaze should be your choice. It makes the best value for the money, as it has many similar features plus the cardio row. Bowflex Xtreme 2 is only a good choice if you have very limited space and you need a much more compact machine.